I love the look of head-to-toe denim. Personally, I am a fan of pairing my favorite jeans at the moment with a button up denim or chambray shirt. Then you can accessorize really however you want.. a statement necklace or fedora hat are my favorite ways to finish the look. I LOVE these new Joe’s Jeans flares I just recently got. The waist is a higher fit which gives you more curves, which I think are necessary when wearing flares. The ripped knees are my favorite part. Are you a fan of the denim of denim? See my other head-to-toe denim look here. Wonderfully executed outfit! 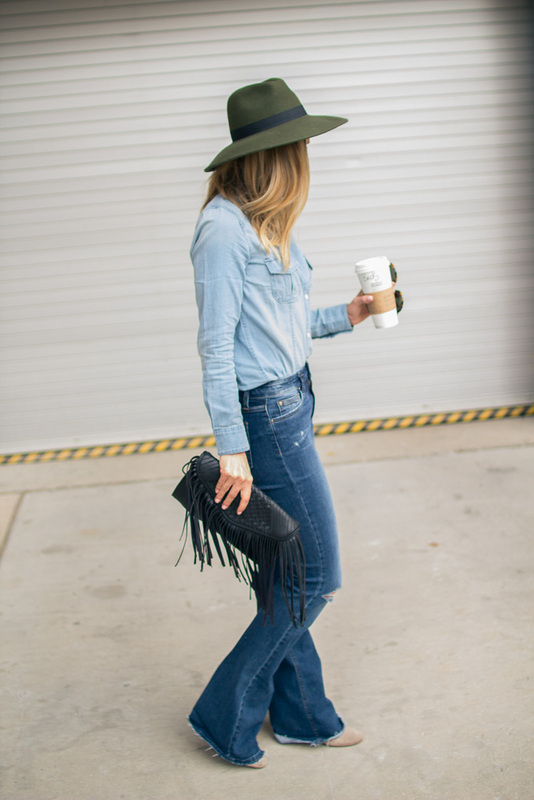 The hat and flared jeans look great together! 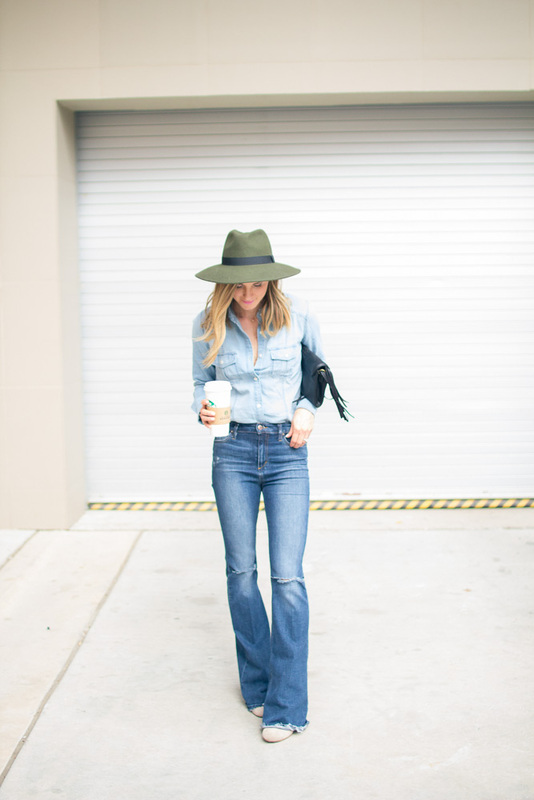 Loving the flares, denim on denim, the fringe, the hat– everything about this outfit is a win! Great look, Becky! I need a PSL stat!! Skinny minny girlfriend!!! Love the chambray look- that hat is perfection!